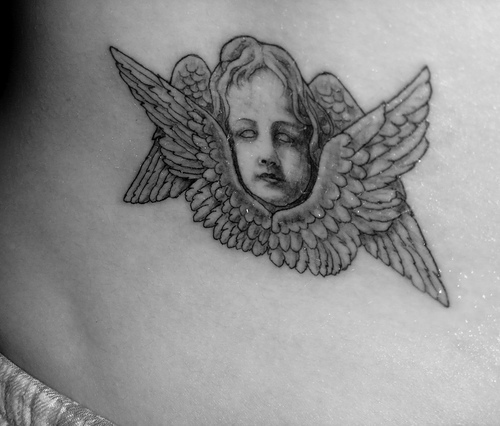 If you are searching for a cute tattoo idea, look no further because this picture gallery holds some of the cutest cherub tattoos around. 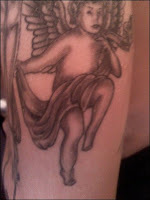 A little history tells us that cherubs are divine beings in the Bible, described by the prophet Ezekiel as a combination of living creatures, with each possessing four faces, including that of a lion, an ox, an eagle and a man, plus they are said to have hands of a man, the feet of a calf and four wings. 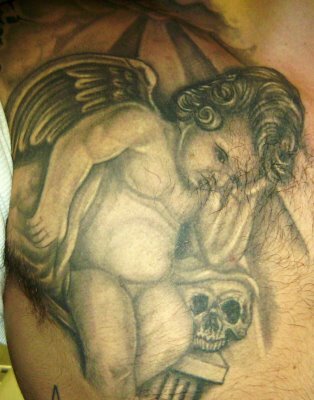 Despite this detailed description by the prophet Ezekiel, modern day cherubs are commonly depicted as small angel babies with wings and pudgy faces. 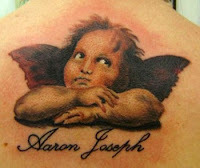 Enjoy this collection of cute modern day cherub angel tattoos. 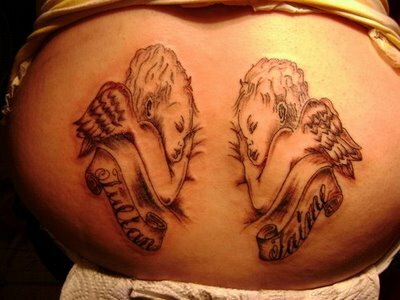 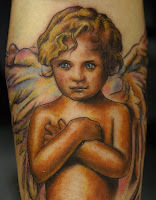 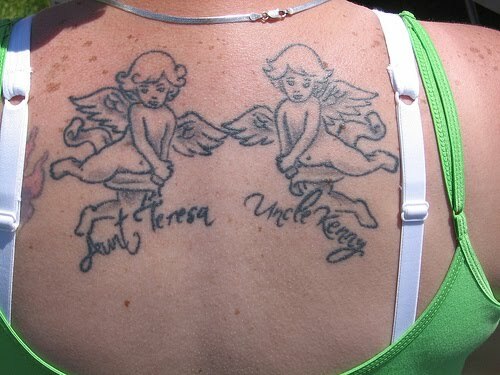 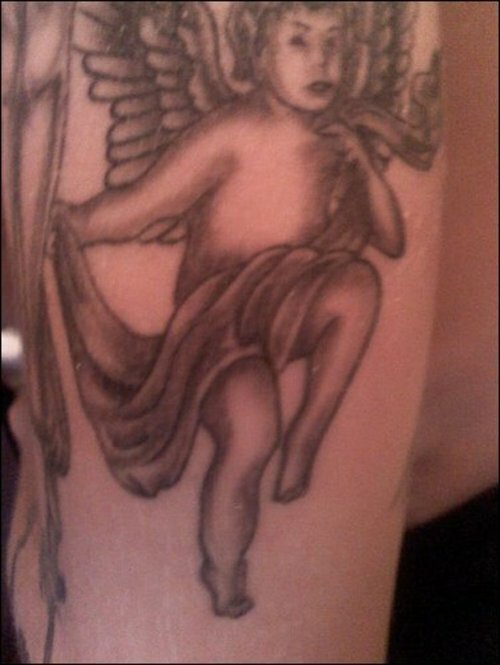 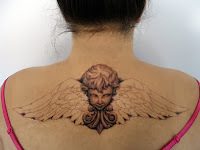 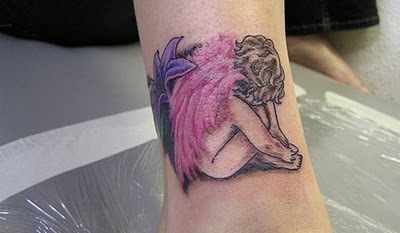 Most cherub tattoos are very pleasant and heavenly, however some mix elements of darkness. 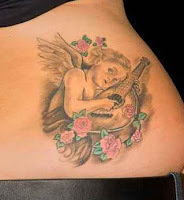 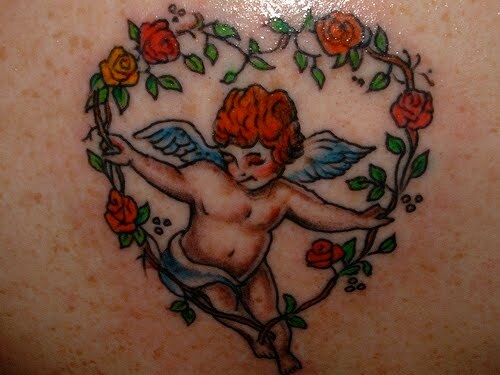 Cherub tattoos go hand in hand with other designs such as flowers, clouds and instruments. 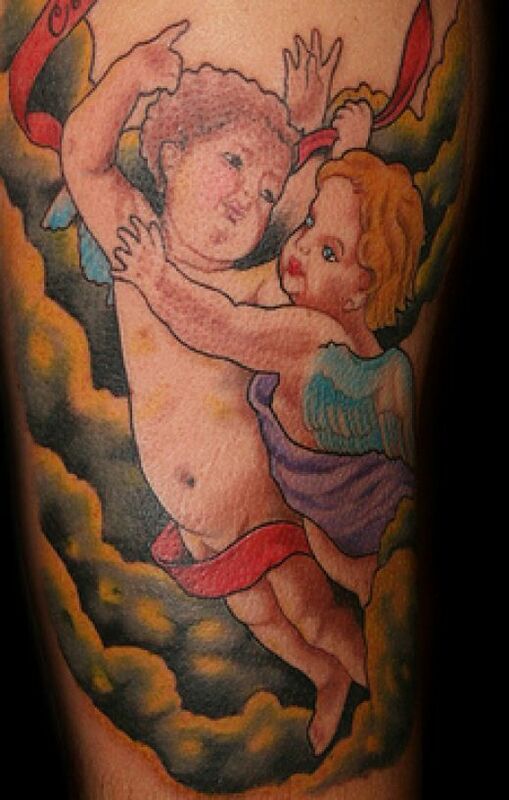 Some believe that cherubs are heavenly messengers meant to travel between this world and heaven. 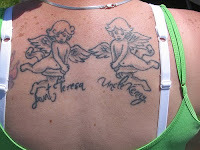 Plus these tattoos are often located on the back and hip area.